The splashback is a prominent feature of the kitchen and it’s the best place to showcase a little creativity. 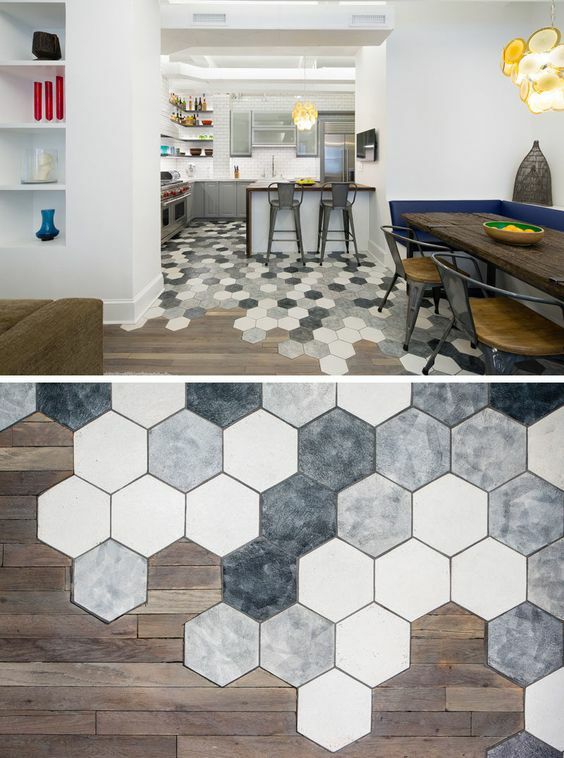 Go on… lay fun, fabulous, or even frivolous tiles here. One way is to cover the splashback area or an entire wall with a unique tile shape in a single colour. 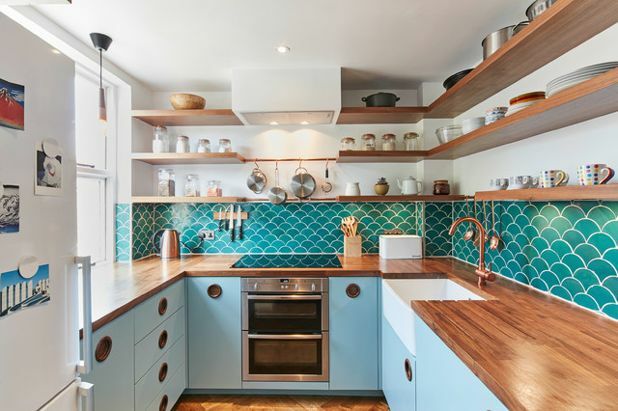 For example, the sea green mermaid tiles saved this beach-style from becoming boring. Use a grout that contrasts the colour of the tiles. It will highlight the whimsical shape and bold colour of the material. There’s also plenty of geometric options such as hexagons, diamonds, parallelograms, squares, and penny rounds. 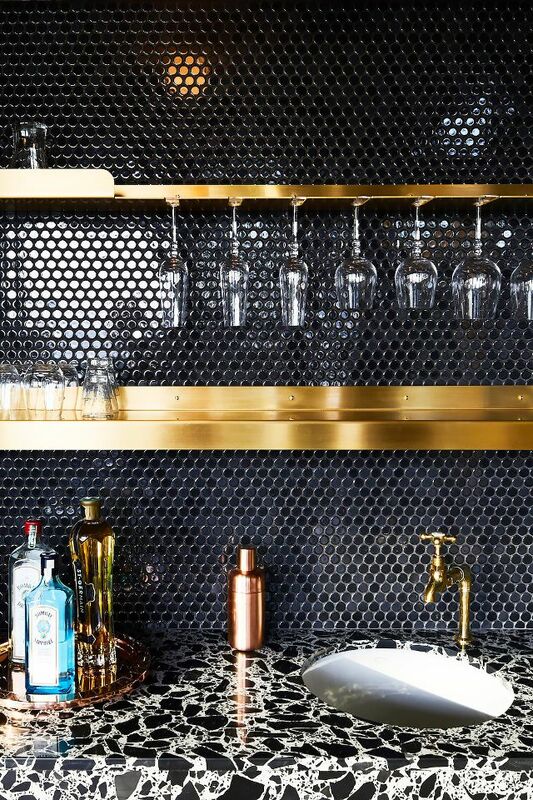 Here, the glossy black penny tiles served as a stunning background of the metallic shelves and chic countertop. A little warning tho: tiny mosaic tile splashbacks like the ones above are hard to clean. Dirt will stick to the grout and accumulate in between tiles. We recommend using an epoxy grout that resists dirt and stain. Applying a nano-tech coating to protect the splashback will work too. If you’re not into playing with bold colours, consider using tiles that have a tactile appeal. 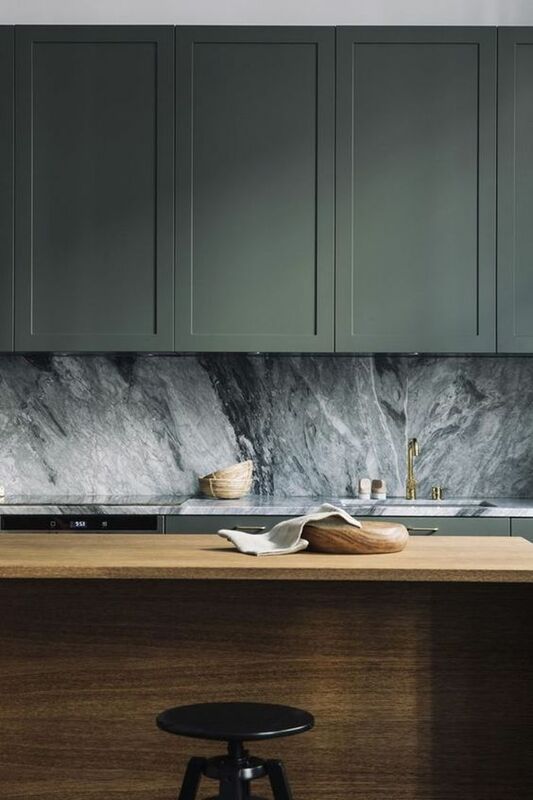 Handmade tiles (or those that look handmade) with slightly uneven surfaces and edges will give you an interesting splashback. In this kitchen, the designers installed a few rows of hand-glazed, glossy black Moroccan Clé tile over a bleached metal steel on the wall. 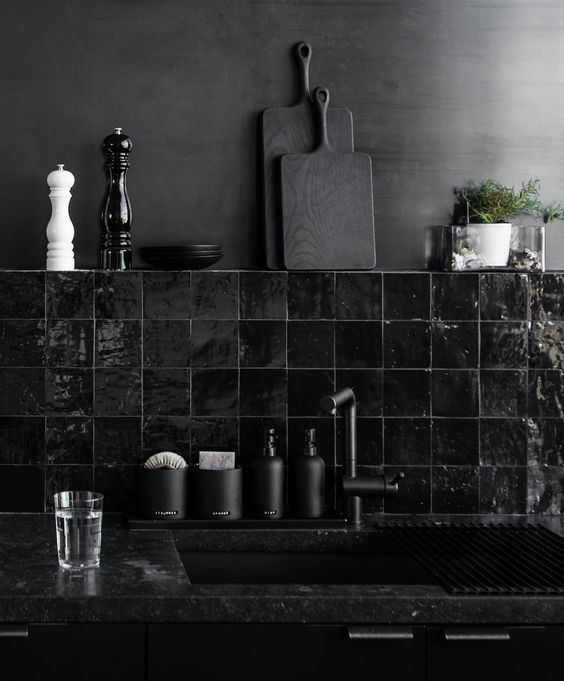 The contrasting texture added depth and interest to this all-black kitchen. These handmade ceramic tiles have tiny embossed patterns on it. The details become obvious as light hits the tile surface. 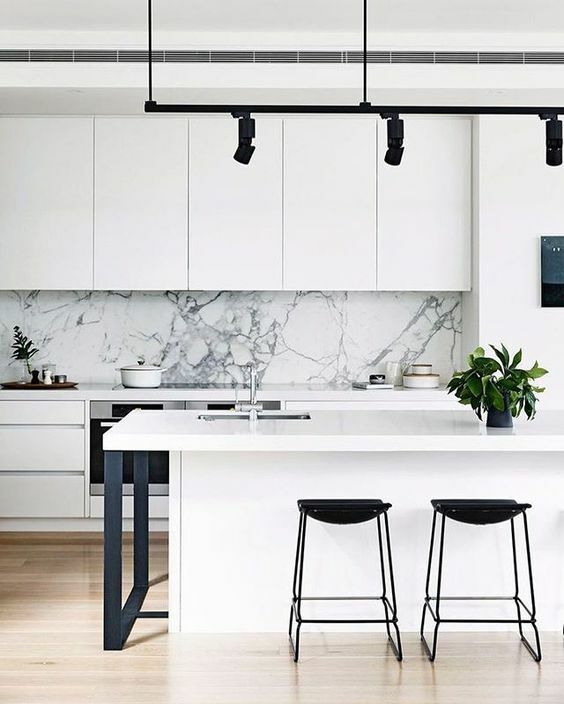 Its rough texture adds an extra dimension to a kitchen with a neutral colour palette. 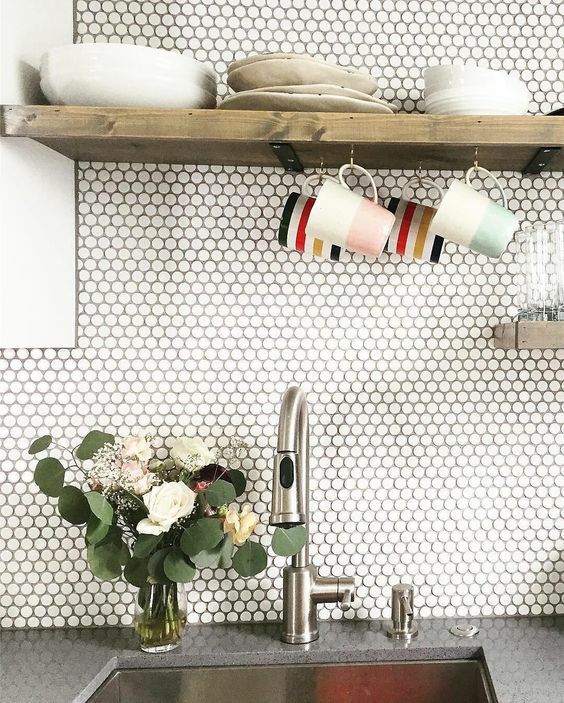 If you’re after unique symmetry, consider hexagon-shaped tiles in your kitchen. It’s more interesting than squares! Lay them in a spot where you’d like to see a pleasing, geometric pattern. Perhaps on the floor, like the kitchen below. 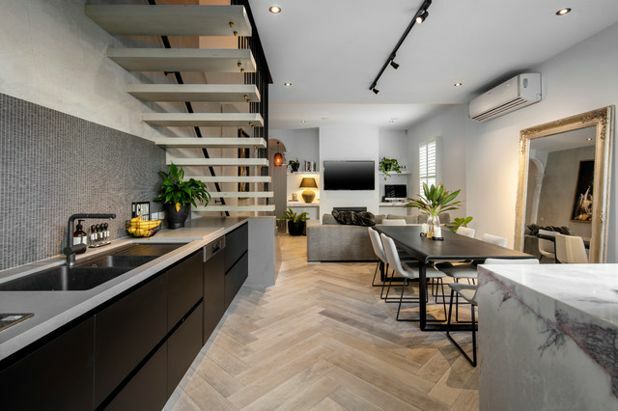 We love the arrangement of these monochromatic beauties with the timber floorboards. The subtle shade variation draws the eyes in and out of the kitchen. Its irreverent pattern gives this apartment a contemporary look. You can also do it using large-format tiles. 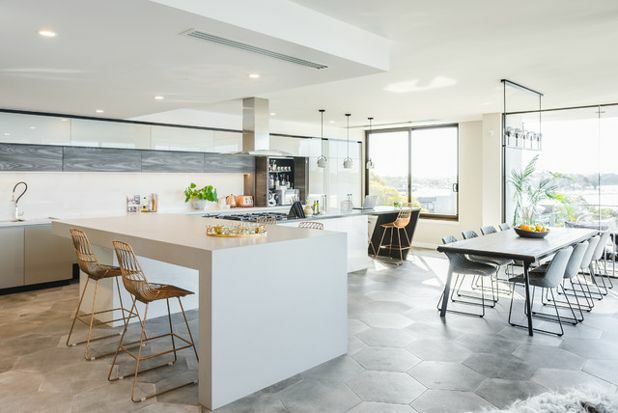 Look how the oversized stone hexagon floors elevated the look of this eat-in kitchen. We love the earthy vibe it brings to the room. Here’s another fun thing to do. 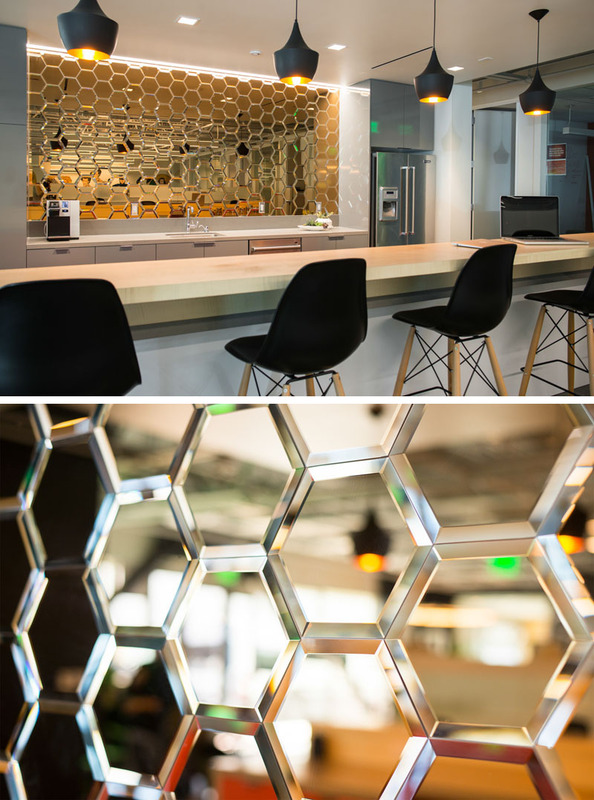 How about laying glass hexagon tiles to create a mirrored backsplash in the kitchen area? This is a great idea that pub and restaurant owners can do in their bar. If you like having people around for drinks, this is perfect for your home. Marble creates a stunning visual that fits both traditional and contemporary homes. People love the veined and mottled effect that screams luxury. Since marble is expensive, not everyone can afford it. The material is also porous and susceptible to stains and damage. If you’re not ready for this costly and high-maintenance material, we suggest using porcelain tiles instead. There are porcelain slab tiles that look like luxury marble stones. Since porcelain is cheaper, you can buy slabs of it so you can match your countertop and splashback. Marble tiles come in slabs and in small-format wall tiles. Choose the one that will give your space and irresistible, crisp, modern look. Tiling your floor is expensive. While it’s fun to have creative floor designs, it’s wiser to build something simple and timeless. You’ll get more value for your money if your floors can last for a long period of time. You should also consider tiles that mimic timber species. Thanks to technology, we now have planks that look and feel like real wooden floorboards. It’s available in a wide variety of designs. 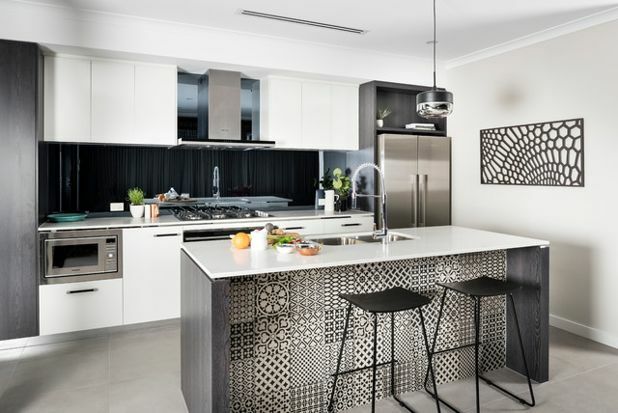 The exotic and artisanal look of Moroccan patterned tiles heightens the look of this white kitchen. Look how the tiles created a carpet-like effect on the floor. 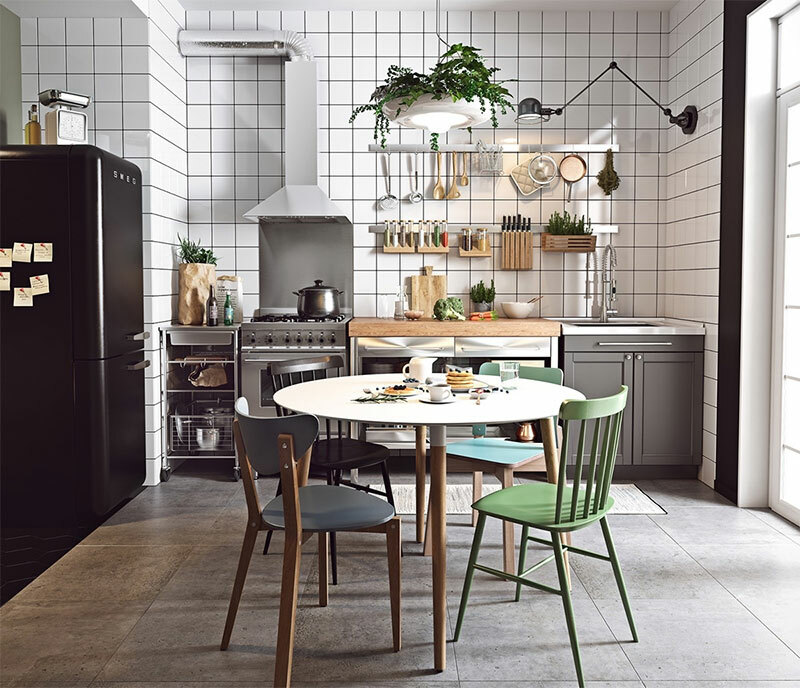 The muted colour of the tiles works well with the seamless Scandinavian kitchen interiors. Feel free to install these muted Moroccan tiles as splashback or on your kitchen island. It will grab a lot of attention for sure. 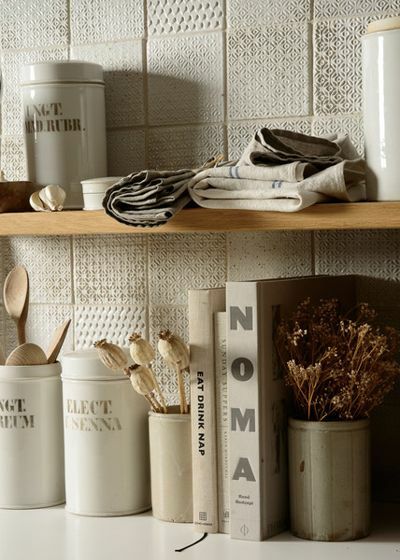 Today’s trending tile designs scream lovely patterns, colours, and textures. The options invite people to go wild and do something that’s out of our comfort zone. It inspires homeowners to live in daring and boldly designed spaces. Also, it allows people to show their taste and personality in their homes. 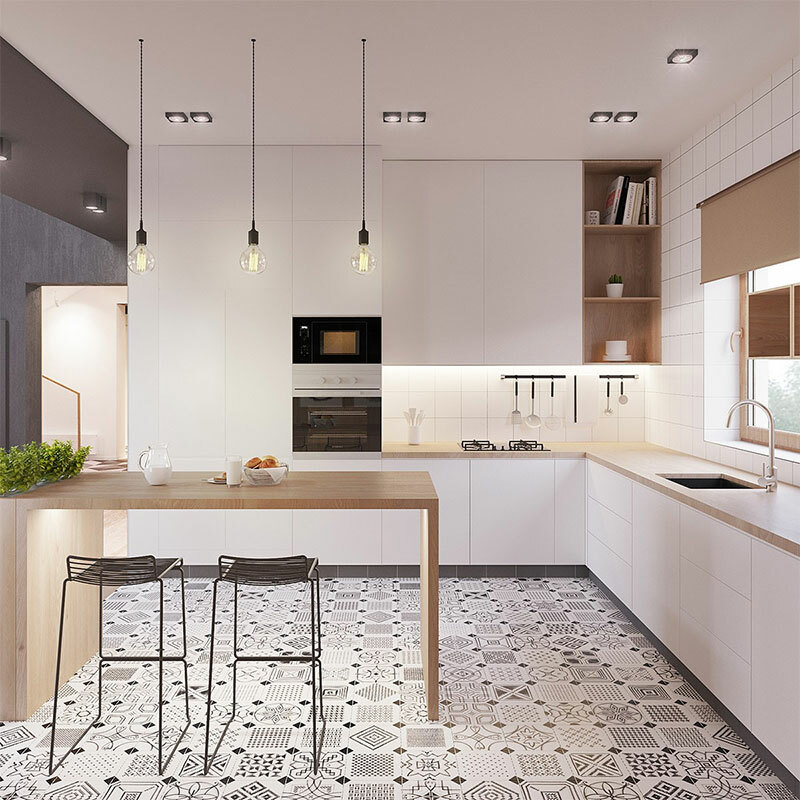 One final tip: Choose a tile design that you can tolerate for a long period of time. Normally, the product of kitchen renovations lasts for at least 10 years. But, if you get tired of the tiles in a few years, you can easily change it for less.